Learn how to care for your wig on the go. The summer season is quickly approaching, which means it’s time to start preparing for all of your travels. Whether you have an out-of-town wedding to attend or you’re planning a trip to comic conventions, music festivals or any other special event, you need to know how to care for a wig while you’re on the go. Proper wig care will ensure your wig looks great, regardless of the event. Even though many people only wash their wig once a week or even less frequently, it’s important to make sure you bring your wig shampoo and conditioner, along with a quality hair brush, with you. The brush is needed to remove any tangles that may occur when you transport your wig, especially if you don’t wear it during travel. 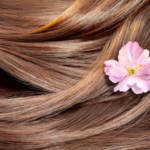 If your wig becomes dirty, having your shampoo and conditioner on hand will allow you to restore your wig without having to figure out where to buy these products in an unfamiliar area. Since you likely won’t wear your wig 100 percent of the time, you should invest in a portable wig stand and bring it along. You can pack this in a separate bag, along with your wig and any other accessories and care products you will bring. If you wear a wig cap or mesh liner, make sure you don’t leave it behind. You may also want to bring along a silk head scarf to keep your wig in place in case the weather is windy. The most important thing to remember is to keep your wig safe while you are traveling, especially if you won’t be wearing it. Having a separate bag will ensure your wig is safe from becoming entangled in the rest of your belongings. In addition, it’s typically best to turn your wig inside out when you pack it in your bag. This will protect the hair fibers from being pulled or tangled so you can be sure your wig makes the trip unscathed. 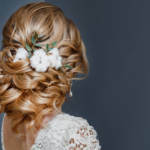 Weddings and other events are commonly held in the summer months, which is why you need to learn how to safely transport your wig and what needs to come along for the journey. Whether you wear a wig for medical reasons or you prefer to use them for a fashionable statement, exercising proper wig care with quality wig shampoo and conditioner is important. This will ensure your wig stays looking great and creates the ideal look to impress everyone you meet. If you’re looking for the best wig shampoo and conditioner, contact us. 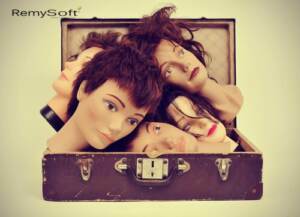 RemySoft Solutions offers the products you need to make sure your wig remains in excellent condition. It is very helpful to know that you should turn your wig inside out when you pack it in your bag. I’m new to this whole wig thing so I don’t really know what to do yet. I need it to stay looking nice because I don’t want to buy another one but I also don’t want to wear it on the plane. I’ll try it out when I fly this week thanks! Wear Your Hair Down for Prom!